Under certain circumstances, it may be necessary to cancel a trip. However, without travel insurance, a person stands to lose a great deal of money over tickets, tour fees, hotels, and other prepaid activities. Fortunately, trip cancellation coverage offers reimbursement for up to 100% these expenses when cancelling a trip (for a covered reason) before departure. There are many reasons a person may need to change travel plans. Under cancellation coverage, there are certain acceptable reasons (known as covered reasons) to cancel a trip such as the below. Covered reasons vary by policy and provider so be sure to read the covered reasons before purchasing a policy. Injury or Illness. Sickness and injury are the top reasons for cancelling a trip. No one enjoys traveling while feeling under the weather. Also, injury may make it impossible to travel, especially on a plane or boat. Besides personal injury or illness, this covers similar circumstances with a travel companion, family member, and business partner as well. Death. Similar to the above, most trip cancellation plans will cover you if a family member or traveling companion passes away unexpectedly prior to the trip. Natural Disaster. When a hurricane or similar natural disaster hits a destination after the policy purchase, cancellation is typically covered. Acts of Terrorism/Evacuation. When a destination is evacuated for any reason or under terror attack, it is possible to cancel plans without repercussions. Residence Damage. If a person’s home has been burglarized or damaged, a person may cancel plans and return home at any time. Jury Duty or Military Deployment. Many people make vacation plans well in advance. When a notice of jury duty or military deployment arrives, insurance makes it possible to cancel trip plans without loss. Change of Employment. 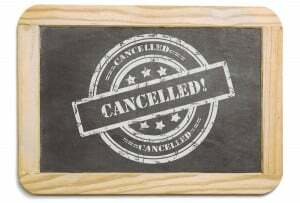 When a person has been terminated or transferred from a job, it is possible to cancel travel plans. Traffic Accidents. If a person’s vehicle has been damaged in an auto accident prior to leaving on a trip, plans can be altered without worries. In the travel insurance world, there is also “Cancel for Any Reason” coverage. For instance, if a person wants to cancel a trip to a foreign land over political upheaval concerns, this coverage will ensure reimbursement for at least a portion of travel expenses. Before purchasing trip insurance, it is vital to compare coverage. Each plan will offer various benefits. It is essential to review and comprehend the individual description of coverage so that the best policy is chosen.